Skiing is in the genes for Susie English who grew up in Park City, Utah, home of the US Ski and Snowboard Team. Her father, Chuck English is Director of Mountain Operations at Deer Valley Resort where he has been since 1985 when she was two years old. English has followed in his footsteps and now works as Director of Communications for Ski Utah, representing and working with all 15 ski resorts in the state. 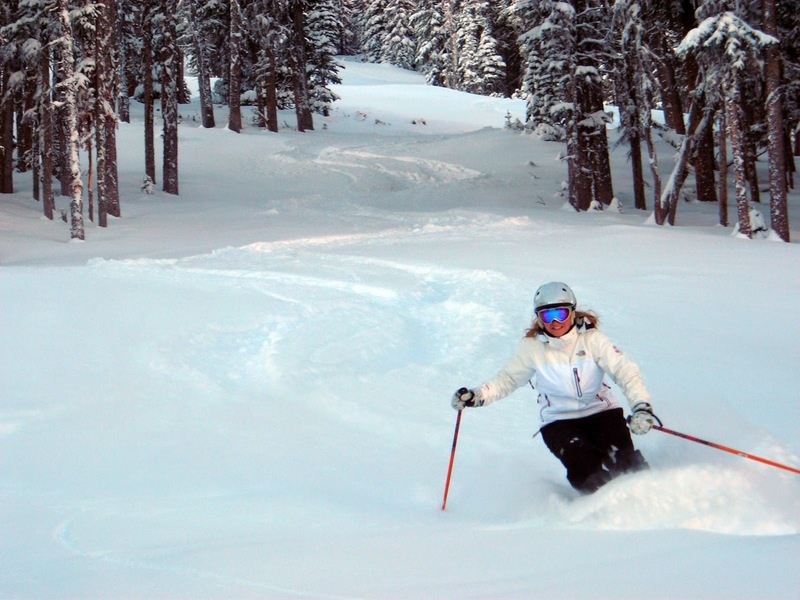 After majoring in Marketing and Finance at the University of Denver, she returned to Utah to work as marketing manager for Rossignol Ski Company where she stayed for eight years before moving on to Ski Utah. 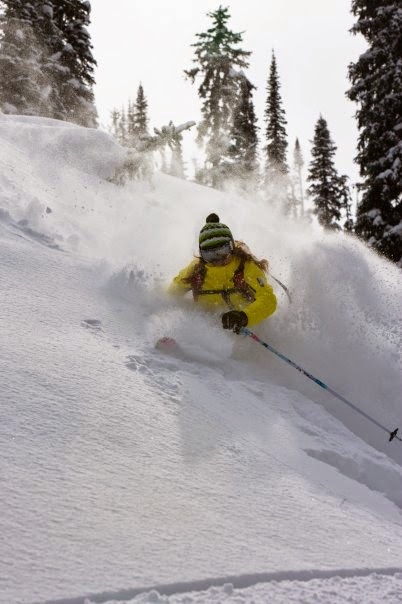 “Working for Rossignol was a great start to my career and I was able to learn so much, ski all over the world and live back in Utah,” she says. The job is a perfect fit, she says, and what better person to promote a ski area than a bona fide local who has grown up skiing there with a family history on the administrative side of the ski tourism industry. So what does the job of Director of Communications entail? On a day-to-day basis English liaises with the Utah Office of Tourism, Visit Salt Lake, Park City Chamber and Visit Ogden. 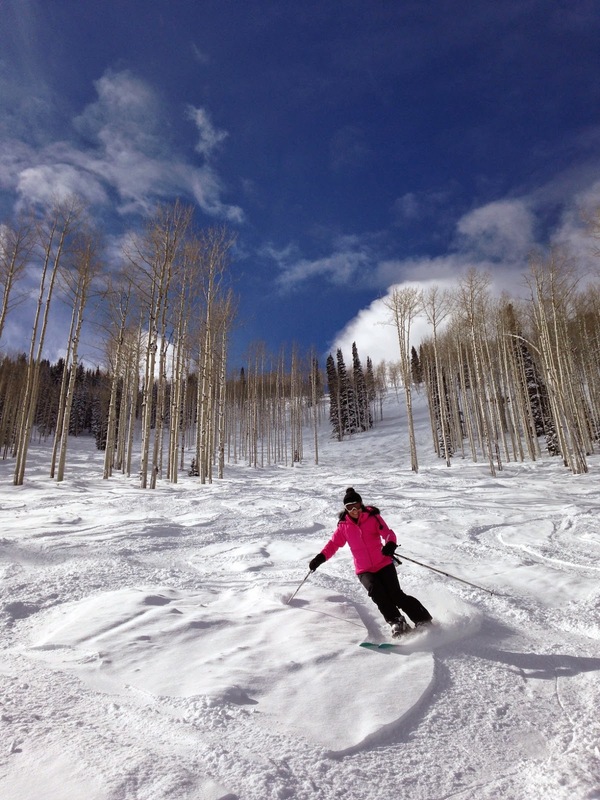 “Ski Utah is a membership organization so I also work with members that help me host media including ski shops, restaurants and attractions,” she explains. Another important facet of her job is working with international media interested in writing about or filming in various Utah destinations. This can have its challenges, particularly with tight deadlines and the increasing need for journalists to do extreme activities in order to create headlines. “I've had interesting requests from I don't eat anything that is red, to I don't ski (and they are on a Ski Utah press trip). It's always exciting in PR and keeps you on your toes,” says English. 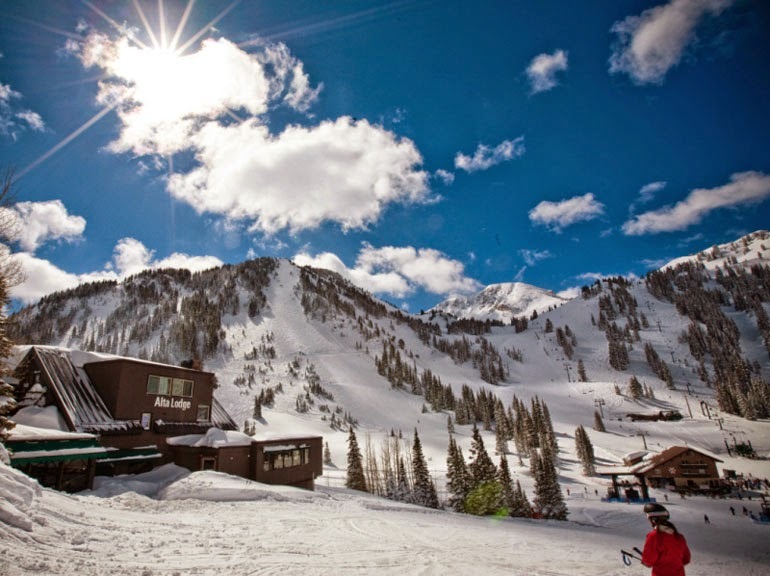 Ski Utah uses Cision Point to monitor media coverage. “I also work closely with our public relations firm (Mfa) to pre-approve press trip attendees and then to monitor coverage after the trip. We don't expect immediate coverage but hope to see something within two years of the trip,” English explains. Like everything else in the ski industry, public relations has changed over the years, particularly with the advent of social media. “PR professionals have had to change their pitching methods from sending mass press releases to more targeted, focused outreach,” English explains. “Many media members now get many of their story ideas from social media, especially Twitter, so keeping up on all of the trends is more and more important.” Out of a total of 10 employees, Ski Utah has a team of three people managing online content and social media channels. So, what are pre-requisites for a career in winter sports PR? Firstly experience and understanding of the tourism industry, English says. In order to gain hands-on experience of the area, she recommends internships at resorts or with ski companies or state tourism agencies. 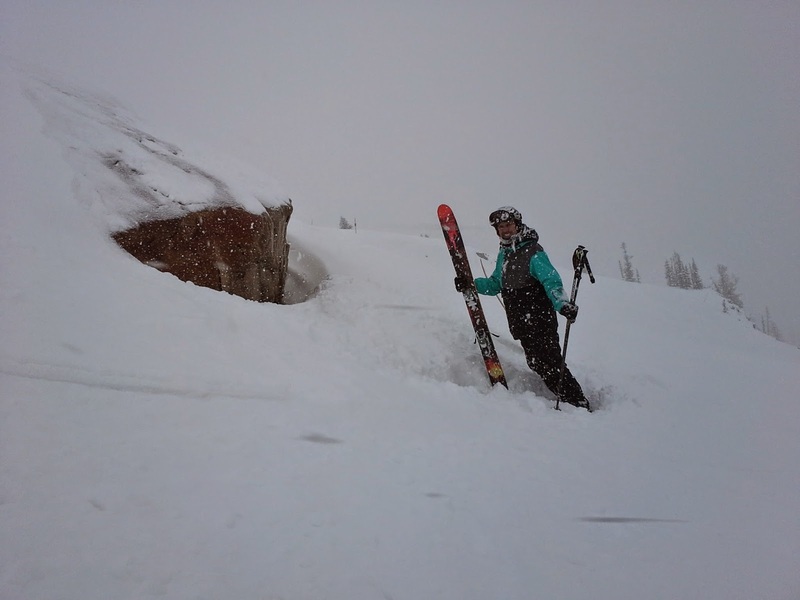 “Ski Utah has a fabulous internship program and past interns have gone on to work at Visit Salt Lake, US Ski Team, Petzl, Ski Utah and more,” she says. And the perks of a PR ski job: plenty of skiing and living in a beautiful mountain environment within a likeminded community. “I'll get 70-100 days on skis each year, mostly for work,” says English. 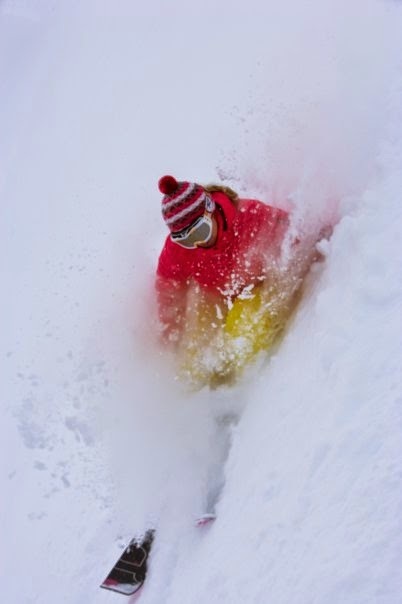 “The people I work with, at Ski Utah and the resorts, are really amazingly, talented individuals. 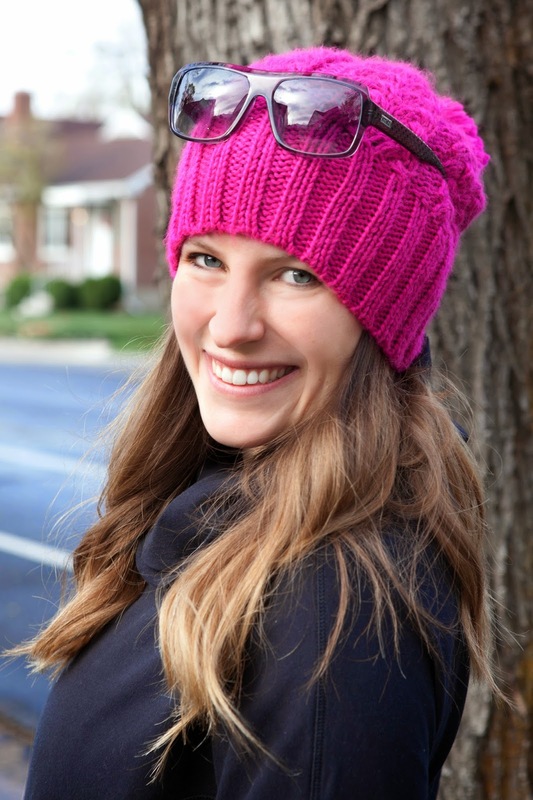 We are not just coworkers but friends who ski, ride bikes and BBQ together.” She also travels extensively throughout the USA meeting with intriguing, unique media, all snow sports focused. “It is so much fun to create new relationships with media, hear about all of their amazing travel adventures and ski with them in Utah,” she concludes. When it comes to the winter sports product, English thinks that family appeal is one of the biggest factors that will ensure longevity for skiing. 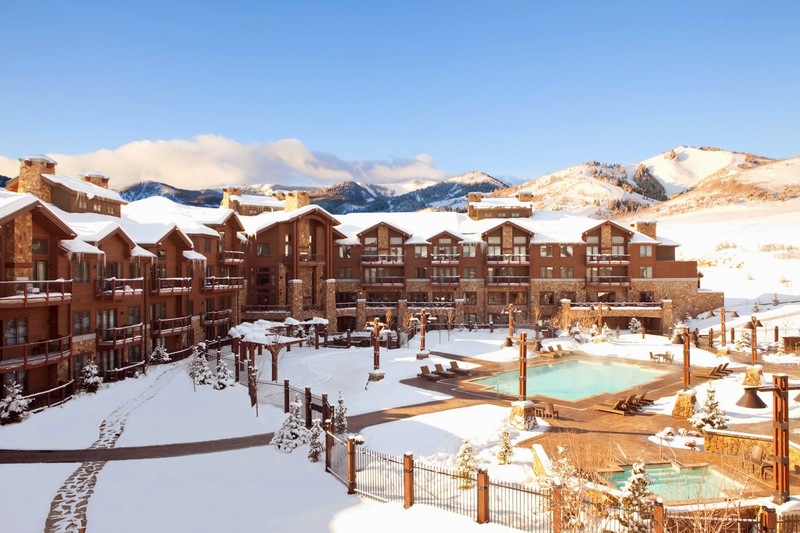 “Utah's resorts, specifically Alta, see generation after generation coming out for the same week every year for their annual family ski vacation,” she explains. 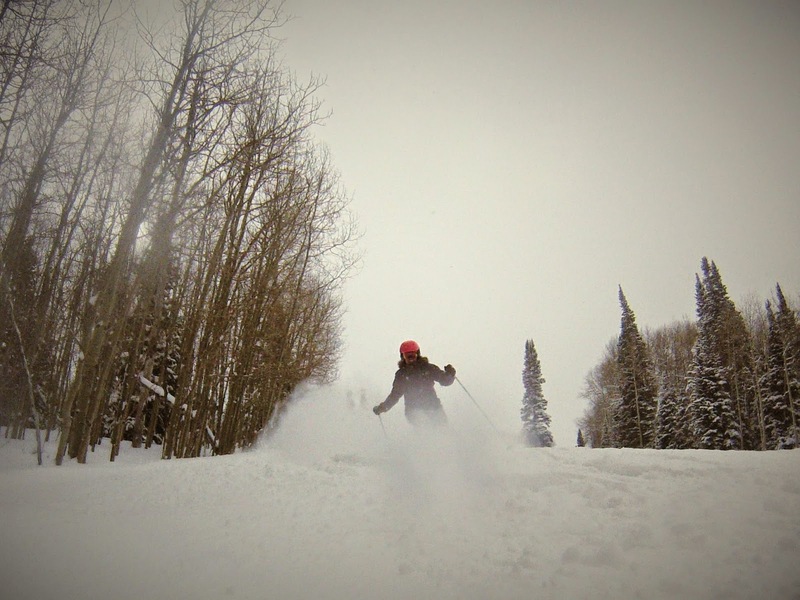 “It is pretty fun to see family grow up coming to Utah and introduce the next generation to the tradition.” She also thinks that enjoyment at every level – from beginner, through intermediate, to advanced – will ensure that snow sports perpetuate as a way to have outdoor fun in a beautiful, wintry setting. Despite the fact that Utah encompasses two of the three ski resorts which do not allow snowboarding, English thinks snowboarding has been a plus for the industry: “It opened up the options and brought more young people into the sport. 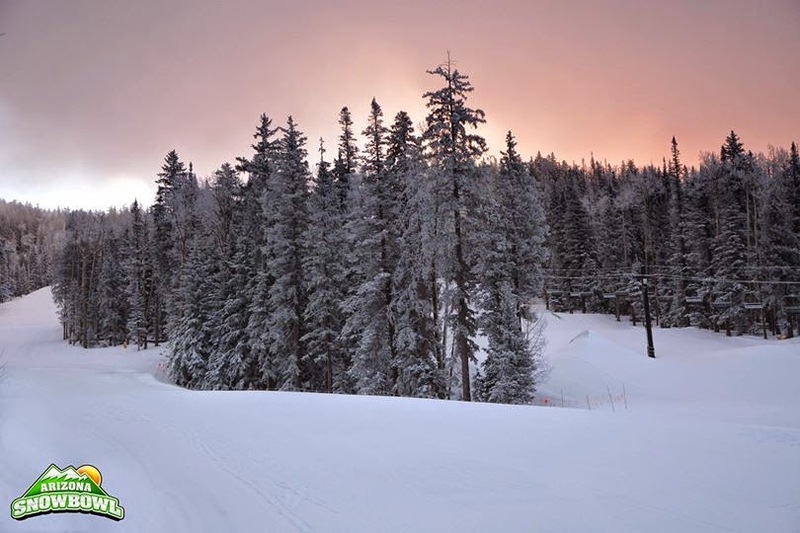 Snowboarding numbers have been decreasing in recent years, but a lot of those people are still on the mountain, just on skis.” And she says that Alta and Deer Valley re-evaluate their anti-snowboarding policy on a yearly basis. I met Rossignol Rep, Ian Hunter a decade ago when I was living in Calgary and working as the weekly ski columnist for Snow Scene in the Calgary Sun. One of my assignments was to attend one of his ski demo and technique training sessions at Nakiska Ski Resort in order to try out the (then) new twin tip skis. 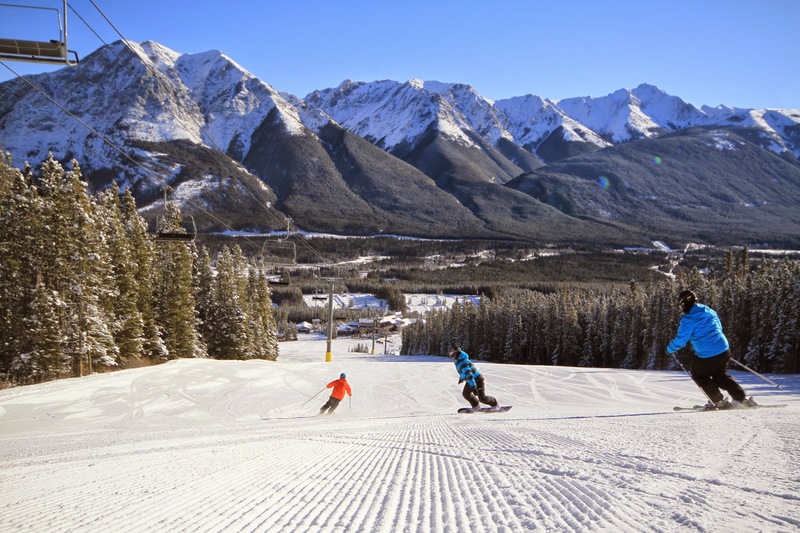 We had a great day, practicing on the pristine groomers at Nakiska and trying out several different ski models. Ian managed to demolish my 1970s European ski style and get through to my entrenched skiing muscles that the old techniques - including legs glued together at thigh, knee and ankle - just don't work on today's skis! I wrote an article about teaching old dogs new tricks for my Snow Scene column (copied below). 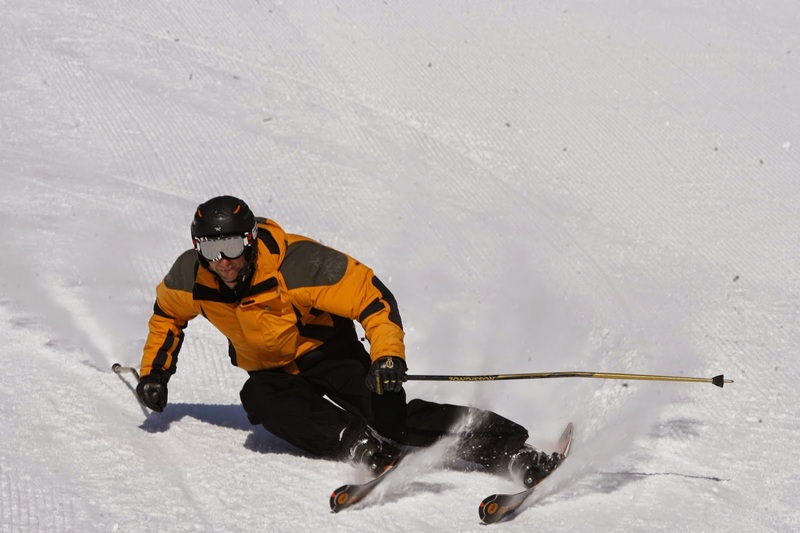 Ski rep, Ian Hunter has been in the ski sales business since 1979. He started his career working in ski retail for three years before moving onto an in-house position with Norvinca Inc – at that time, the Canadian distributor for Nordica, LOOK and Dynastar. After nine years he left Norvinca to form his own sales agency in order to maximize income by representing multiple brands. In 1990 Hunter signed with Group Rossignol Canada Ltd and is still in the same role today although he has also represented many other lines during this period. “I’m responsible for sales into retail and rental markets, as well as sell through from retail markets which can involve co-op advertising, staff training, promotion through athletes and ski professionals,” Hunter explains. In order to compete with the popularity and growth in the snowboard industry, ski manufacturers put considerable resources into designing more user-friendly, higher performing skis to try to regain the “cool factor”. Hunter says that snowboarding’s success, particularly with the younger generation, caused ski manufacturers to re-think their approach to the sport. “It accelerated the development of recreational skis to make skiing more fun, easier to learn, and to provide more performance,” he says. Retail staff have a significant impact on what products the consumer chooses, so Hunter works closely with the Rossignol retail network. “Staff training sessions, demo days and casual conversations with the staff are all key components of grass roots marketing,” he explains. He also runs popular consumer demo days but says these tend to be “a bit of a shotgun approach”. Private demo days can be very effective but are cumbersome to orchestrate. Hunter’s core business remains alpine, Nordic and snowboard hard goods, although he has also represented companies which specialize in goggles, helmets, sunglasses, bikes, cycle clothing, technical outerwear and layering systems. These days a job in his field would require experience in retail as well as wholesale sales. “Experience selling as an agent for smaller brands would be good training in preparation for selling a major brand,” he thinks. Talk about teaching old dogs new tricks. Now you can ski the very latest Rossignol racing and powder skis in a demo with a difference - you get personal instruction on how to cure old-fashioned ski habits and get the best performance out of the new technology. I went to Ian Hunter's first Rossi Demo Day of the season at Nakiska. My mandate was to try out skis designed for groomers, powder and bumps. Plus, I intended to bite the bullet with those trendy twin tips, which I previously thought were reserved for the young and the reckless. At least, then I could say I have tried them - but they are not for me. Like everyone else, I've been demoing various skis over the years from on-hill tents or stores. And by each day's end, I'm usually left wondering how other models would compare. A week later, I try something else and then a third pair but can't quite recall what it was I liked or disliked about the first pair. It's hit and miss when it comes to buying skis, with sales pressure, media hype and gorgeous graphics swaying my decision. Hunter's clinic gives skiers the chance to try out six or seven brand new ski types in a whole day of discovery about their own style of skiing, determining what is perfectly suited to individual physique and ski-terrain preferences. Refreshingly, he doesn't sell the skis, but with 80% of his participants opting to buy Rossignol, he guides them towards the right model and convenient outlets. "During conventional demo tent days, it's only about one-in-20 who actually buy," Hunter said. He blames this low conversion rate on people's inability to ski the new technology properly since traditional demos are unsupervised. During the demo day, there were six of us trying out skis in the capable hands of Hunter and his partner, Rob Meaney. In the otherwise male environment, I wondered where the women were. Hunter says usually around 70% of participants are male. The teacher laments the fact women don't sign up for his demo days despite often being key decision-makers in households. "Women think carefully about their purchases, so this would be the ideal opportunity for them to try out all the alternatives before buying," Hunter said. The morning revolved around powder skis and twin tips, even though we were skiing on hardpack off Nakiska's Bronze Chair. Hunter says you can test softer skis on groomed runs as this medium properly showcases their edge grip, which is necessary even in backcountry skiing, where hard snow conditions sometimes prevail. Ease of steering can be tested on hard pack, too. And it also proves you'll be able to make it down icy groomers after a hard day powder skiing in back bowls or glades. Enthusiastic despite the minus-20 C temperature, I tried out two women's Bandits - B3 and 78. Hunter gave us all drills to practice while analyzing our individual ski techniques. Apparently, I'm still a staunch European-style skier even after eight seasons in Alberta. I now have valuable tips to transform my skiing to fit the technology as well as integrate into local ski culture. I enjoyed the Bandits but unexpectedly loved the women's Scratch twin tips. I found the fatter skis facilitated a wider stance which enabled me to keep an edge on both skis better. Looks like I'm going to have to eat my preconceived words about twin tips for my age-group being synonymous with mid-life crises. After a sociable group lunch in the lodge, we moved on to racing skis, putting the Zeniths (for men) and Attraxions (for women) through their paces. Both Hunter and Meaney skied on the women's versions during the day, saying that although made for women, they are strong enough for men. I actually enjoyed all the skis, including the Mutix and Radical ranges with natty interchangeable bars to alter the stiffness for various terrain. But my favourite afternoon cruiser was the Attraxion V, although I was a little worried the red-flower design on the skis were sub-consciously affecting my decision-making - a bit like Dorothy in the poppy field in the Wizard of Oz. The innovative demo series was started by Hunter two years ago, operating out of Nakiska and Norquay. Rossi Demo Days cost $35 per person and are worth every penny, since at around $1,000 a pop, skis can turn out to be costly mistakes. You not only gain the expertise and confidence to buy the right ski, but you get a lesson with customized tips. Even in minus-20 C conditions, the day whizzed by due to the comfortable combination of skiing, instruction, advice and bonhomie. As an avid notetaker, I recommend you jot down what you liked and why. In case you missed it, here's the link to my Glade Skiing article in Dallas Morning News: http://www.dallasnews.com/lifestyles/travel/us/20141107-glade-skiing-offers-alternative-to-slopes.ece - lots of tips on skiing the trees and the best tree runs at various resorts. After a more traditional career in public relations, John Brice switched to snow sports in 2009 in order to further his personal goals of skiing more and eventually relocating to a ski area during ski seasons. Based in San Diego, California, his company, Snow Sports PR now represents gear manufacturers, mountain lodges, ski areas, heli-ski companies and snow sports’ trade associations. “In 2009, after years of doing concert publicity, making the fish taco famous over 17 years as the PR rep for Rubio's ‘Home of the Fish Taco,’ and even repping AT&T at the Republican National Convention in San Diego, I decided to follow a new passion and now persuade consumers to purchase snow sports gear and to travel to ski areas,” says Brice, who has recently changed the name of his business to Snow Sports PR from Brice & Associates, which he started in 1986. Research is intrinsic to Brice’s success. He uses studies from the National Ski Area Association to understand the demographics and motivations of wintersports participants. “It is a passion driven sport,” he says. 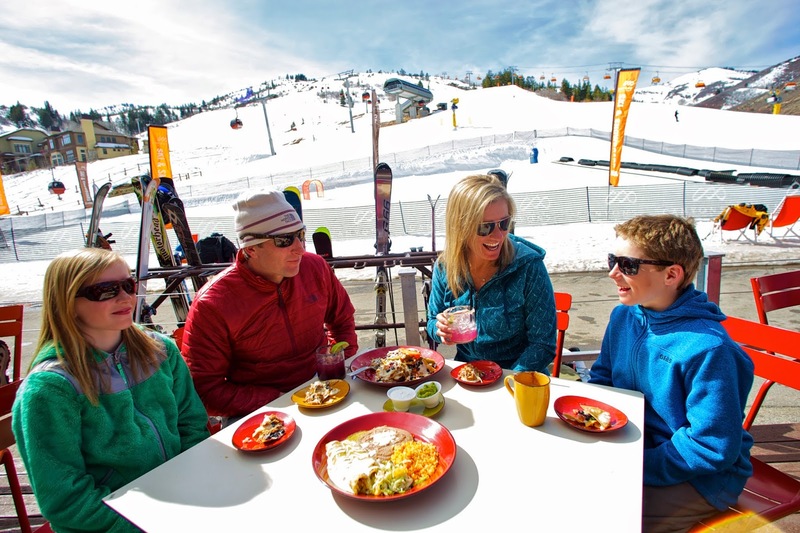 “Even before fully recovering from a lingering economic recession in the US, the nation in 2010/11 saw a record number of skier visits, according to the National Ski Area Association: 60.54 million visits.” Although participants may spend less on après ski, they will still pay for lift tickets, Brice contends. And their passion for the sport is fueled by the growing number of multi-resort season passes and advancements in ski equipment, which make it easier to learn to ski and to improve. 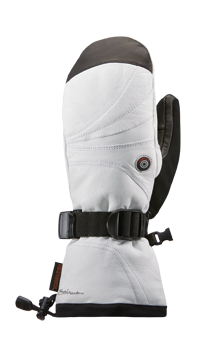 Meanwhile he is concentrating on publicizing high quality products and companies including Seirus Innovation, a global leader in winter sports accessories such as heated gloves and mittens. 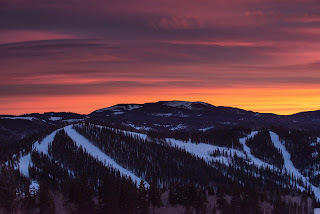 It is co-owned by Salt Lake City's Joe Edwards and past chairman of the SnowSports Industries America and current CBS TV football analyst, Mike Carey. 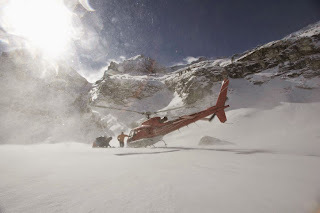 Snow Sport PR also represents Arizona Snowbowl and its Ski Lift Lodge, Southern Utah’s Eagle Point and Nevada’s Ruby Mountains Heli-Experience. Committed to promoting ski and snowboard education, Brice is also a public relations specialist for the Learn to Ski and Snowboard Month/Bring a Friend Program, the gateway for 500,000 introductions to snowsports over the past six seasons. 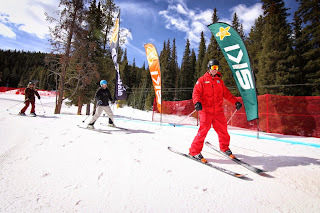 “This program is supported by both National Ski Area Association and Snowsports Industries America making LSSM/BAF the biggest organized recruiting program in the snow sports industry,” he says. At the end of the day, he thinks skiing well is one of the best motivators to stick with the sport.